Campfire songs, cowboy poetry and Dutch oven cooking are all part what make the Nine Mile Ranch bunk 'n breakfast unique. Situated in the mouth of historic Nine Mile Canyon, "the ranch is a perfect place to get away from the busy world," explained owner Myrna Mead. 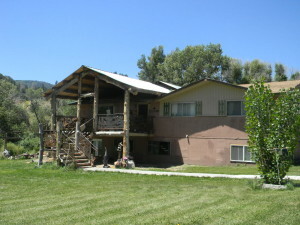 Open year round, the ranch offers lodging, campsites, a camping supply store and entertainment. Eighteen campground sites and bathrooms with showers along with rooms in the bed & breakfast give the ranch versatile ways to serve any guest's needs. There is even an Indian teepee that guests can rent to sleep in. "We created the ranch as a home base for people coming to see the Indian art in the canyon. They can come eat, clean up and stay after a day of hiking in the dusty canyon. It is also a great place for family reunions," continued Mead. Myrna and her husband Ben have been running the ranch for 6 years. Mead explained the ranch's beginnings. "Since we have been married it was our dream to open a ranch for troubled youth. We didn't get it done when we were younger. So, when we got older we decided that we'd better follow our dreams. But, we thought it would be better to run a guest ranch and let parents and grandparents come and bring their children for a fun time." Welcome to Nine Mile Ranch! Each of our four cabins are well situated near the Guest house, Campgrounds, Bathrooms and Showers, and the Pavilion. They provide the perfect intimate getaway and privacy for any couple or family. With Nine Mile Creek running alongside, plenty of shade, and green grass, our Campgrounds have much to offer. 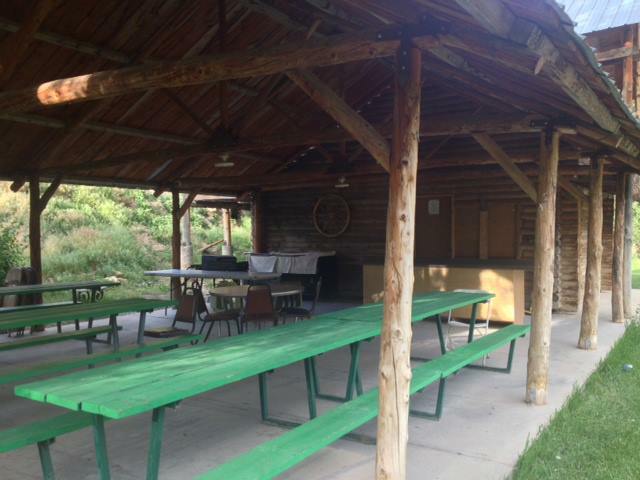 Each of our 18 campsites provide the perfect atmosphere for Family Reunions and get togethers. With over 1,000 acres to explore on this working Cattle Ranch, there is much to see. With fully functional showers and bathrooms, what’s there to miss? Come and stay with us! This Pavilion is perfect for Family parties and Live Music. With a Kitchen, plenty of tables, a bonfire site, horseshoe toss, Volleyball, a playground for kids and plenty of open space, this is the perfect spot for get togethers. Don’t forget the option of authentic Dutch Oven styled meals as the perfect addition to your getaway! Showers and restrooms available, Guided Tours of Ancient Indian writings in the canyon. Fun hayrides, horseback rides and trail rides. Campfire songs, cowboy poetry and Dutch oven cooking are all part what make the Nine Mile Ranch bunk 'n breakfast unique. "The ranch is a perfect place to get away from the busy world..."
Turn off to Nine Mile Canyon is located 2 miles east of Wellington on Hwy 6. Travel 23.7 miles to the ranch. 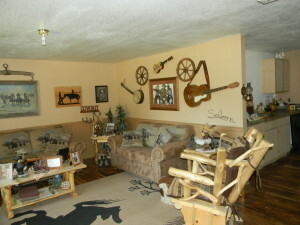 Thank you for visiting http://www.castlecountry.com/Lodging-Nine-Mile-Ranch-Bunk-n-Breakfast! Be sure and revisit castlecountry.com frequently for content updates and more.